Air mattresses offer an affordable bedding solution for millions of people all over the world. From camping to other outdoor activities, lots of people are able to enjoy nature thanks to these mattresses. They are equally great for sleeping indoors whether you have kids coming over or family on their way. even if you have the worst inflatable mattress in the world. This is why these types of mattresses inevitably pop up in the minds of consumers as soon as they think of temporary bedding. So, how are inflatable mattresses made? What kind of materials go into the manufacture of these units? If you have been getting quality use out of your mattress then you’d probably want to know how they are manufactured. Even if you have never owned one of these mattresses, it still pays to know. Stick around as we go through some of the materials that go into the manufacture of these portable mattresses. Who knows? This may help point you in the right direction the next time you decide to shop for an air mattress. Polyvinyl chloride (PVC) is one of the most popular materials in the airbed industry. If you have been doing a little bit of research on these units then you may have come across some popular models manufactured from this material. While lots of affordable mattresses are manufactured with PVC, it is not uncommon to find some high-end models made from it too. There are lots of advantages you stand to gain from mattresses manufactured by PVC. Here are a few of them. One of the main reasons for the popularity of PVC the waterproof capabilities. Mattresses made with this material give you a waterproof surface to enjoy your sleep. The fact that inflatable mattresses are waterproof unlike regular ones makes it suitable for the needs of many consumers. While regular beds can get wet when water or another liquid spills on it, inflatable ones have been traditionally different. Waterproofing comes in handy in blowup medical mattresses and those relied upon by the bed-ridden. 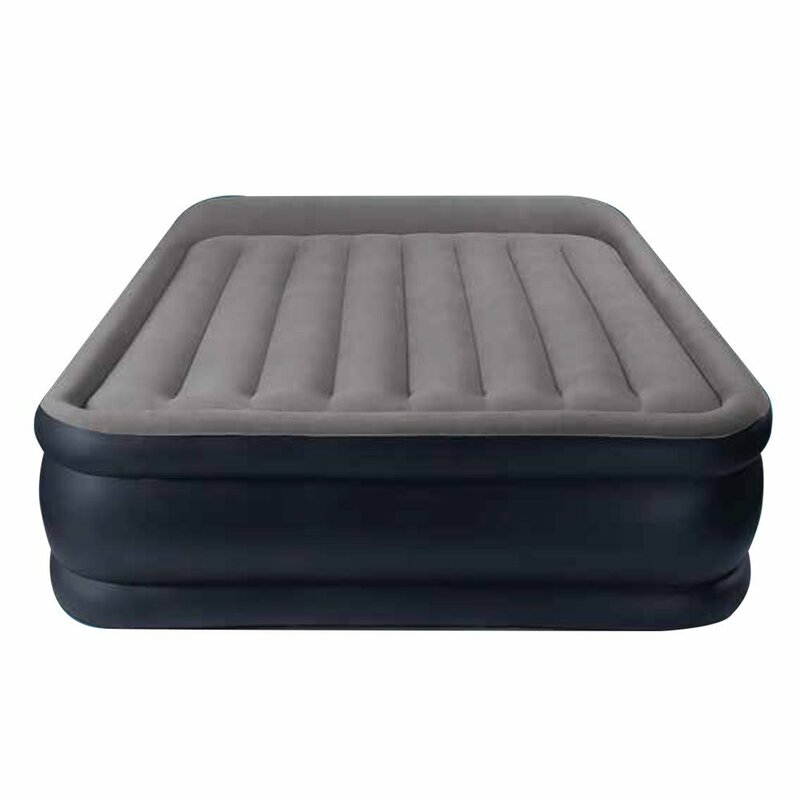 When shopping for an airbed, it is important to choose one that is low maintenance. We live in an era where everyone is extremely busy so you wouldn’t want to waste time keeping your mattress in good shape. This is what gives PVC an edge over the other materials used in the airbed manufacturing industry. It requires no need for washing, drying, and any of those tedious activities. However, if you insist on cleaning your mattress periodically then you can simply get it done with a piece of washcloth and water. This is another advantage these mattresses have over regular ones. While most regular mattresses are unable to withstand fires, this is a problem PVC airbeds do not have. Manufacturers apply specific chemicals on the surface of these airbeds to ensure their ability to stay in their original physical condition even when exposed to fire. This feature is especially handy because non-PVC air mattresses are mostly manufactured from plastic or other materials which crumble when exposed to fire. One of the reasons why air mattresses have become so popular is the fact that they are significantly inexpensive. Industry experts have revealed that manufacturing them with PVC comes at significantly lower costs when compared to the others. Industry players are therefore able to make their product lines available to consumers at affordable prices. You definitely do not have to break the bank in order to get a quality inflatable mattress. PVC is far from the cleanest material in the inflatable mattress manufacturing industry. In fact, this plastic has been found to be toxic and harmful to the environment in so many ways. Vinyl chloride, a sub-component of the material results from the combination of plastic and petroleum. Production causes the release of toxic chemicals into the environment. If you are green-conscious then you may have to look for one manufactured from alternative materials. It is no secret that PVC is a plastic material. It is quite hard in its basic form meaning it doesn’t make the most suitable sleeping surface. Some additional chemicals are added during the manufacturing process to soften and make it more comfortable. Phtalates are the most popular chemical added to PVC to make it soft during the manufacturing process. This chemical can be absorbed into the skin while you are sleeping. It has been linked with severe medical conditions such including cancer and asthma. Textile-reinforced urethane and rubber are alternate materials used in the manufacturing of airbeds. They are quite popular and usually found in some of the high-end models available for sale. Here are a few advantages of going in for an airbed manufactured from rubber and textile-reinforced urethane. The advantage of textile reinforced urethane is they are more puncture-resistant and thicker than PVC. This means that buying a mattress made from one of these gives you more comfort and durability. True, there may be lots of ways to fix punctures in your mattress. However, how would you feel about having a mattress with minimal risk of puncturing in the first place? Thermoplastic urethane airbeds contain no phthalates. You can therefore sleep on them without risk of developing any medical issues. These mattresses typically come with no odors, which is another problem arising out of phthalates. 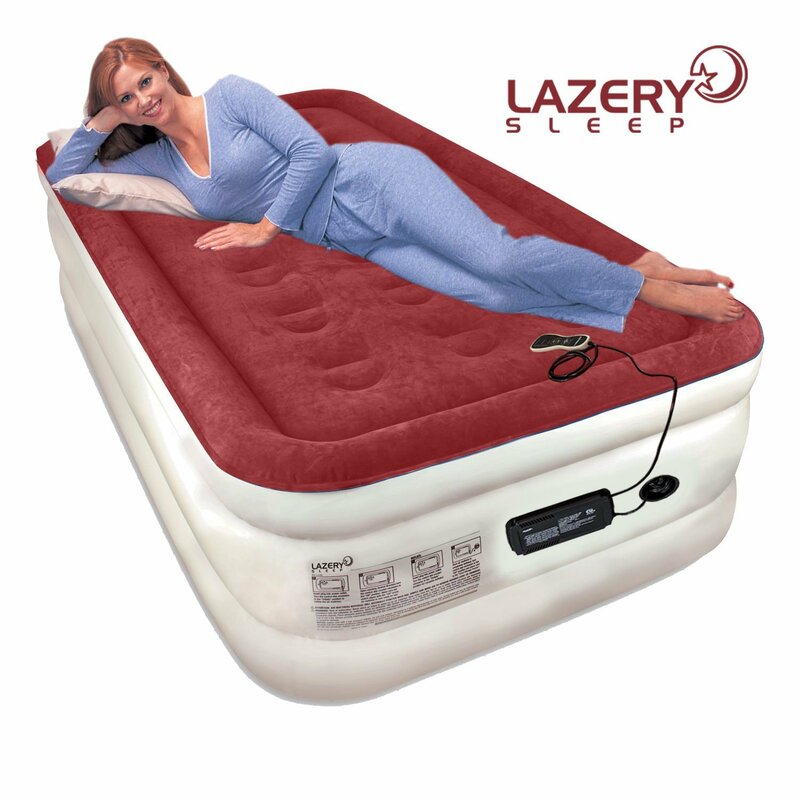 The main disadvantage of choosing an airbed manufactured from thermoplastic urethane is the expense. The high cost of manufacture means they are relatively more expensive than models from PVC. We hope you have learned a few things about the manufacturing process of air mattresses and are in a better position to make a sound choice. If you want something environmentally friendly and willing to pay the full cost then thermo urethane is a good choice. Rubber is another great choice if your budget is not too tight. On the other hand, PVC mattresses hit you less in the wallet and are great for consumers with low budgets.